The rose is a perennial symbol of love, beauty and strength. 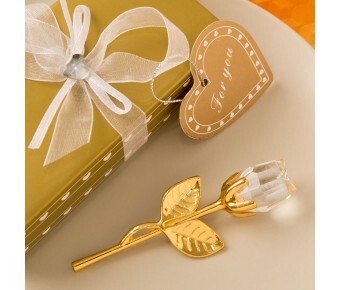 Offer your guests a rose in gold and crystal that is certain to enchant! The beauty of the rose is captured here in our Choice Collection, glorious in stunning gold and crystal and packaged in a gift box. 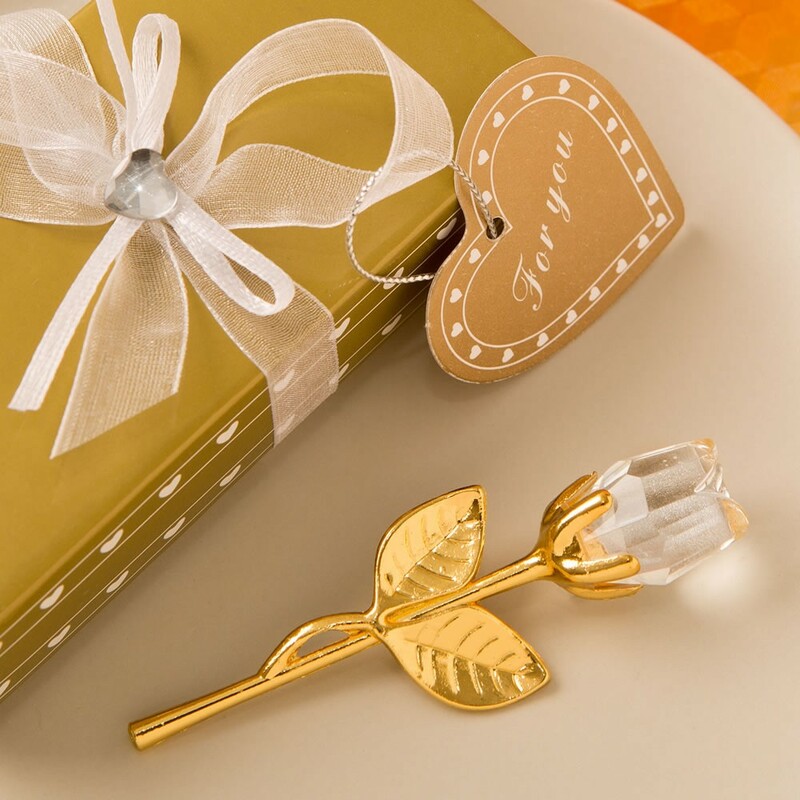 The long stem and leaves are crafted from a shiny gold metal. Attached to the top of the stem are delicate faceted clear glass crystal petals forming a rose flower. Add a decorative touch of glitz to your event tables and thrill your guests with a special favor! 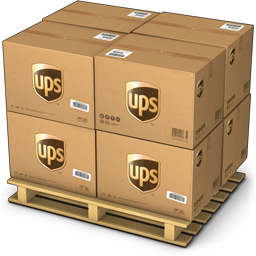 Size is 4.25" x 1.875"